For your next big purchase, you may want to consider one of these exquisite gothic fantasy headpieces from MetamorphQC on Etsy. These are made by a very talented dark mom and pop shop. The headdresses are perfect for modeling, conventions, or nightclubs. Who knows what actually happens when we fall from heaven? This fallen angel feather headpiece is elegant and slightly evil. Of course, the black feathers are a necessity. There is a lot you can do with this headdress to make it more corrupt. 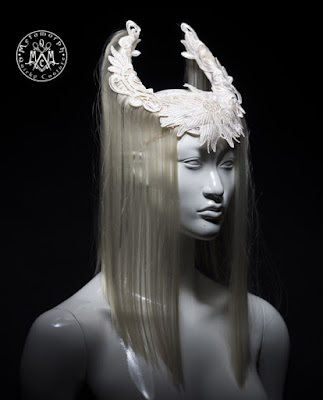 I can see this off-white horn headdress used for cosplay. It would be horrifying to dress as a traditional Japanese ghost (yurei) and wear this to add some extra height and airiness. It's a beautifully disturbing headdress, in my opinion. 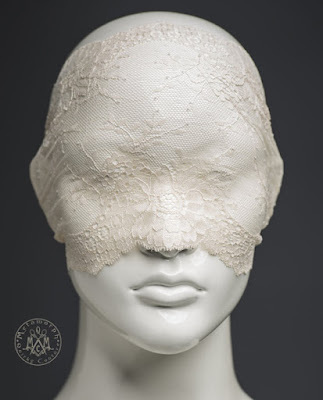 You could wear this chic black lace mask to distort your face. You would look alluring yet malevolent. Wear this to a funeral or just for sauntering through a graveyard. You can greet all the dead spirits as you pass. There's the option of having a cream lace mask instead. You could get away with wearing this to a masquerade. Either way, I would wear both the black and white masks, because they are not as extravagant as the other headpieces. I'm so excited to wander in the moonlight during fall this year. 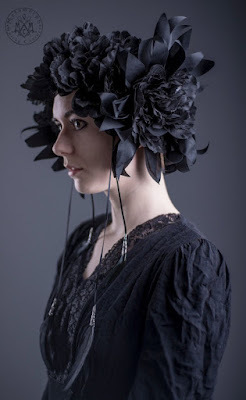 I can imagine myself wearing this black flower crown in my gothic garden. It is so tempting, as it would go well with all of my dresses. 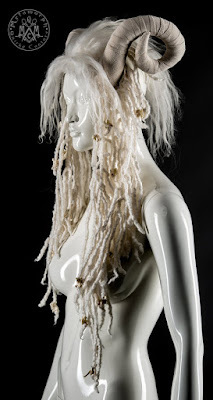 This black art wig is supposed to represent a more sinister version of the God Pan. It's more feminine, but you can see the resemblance. 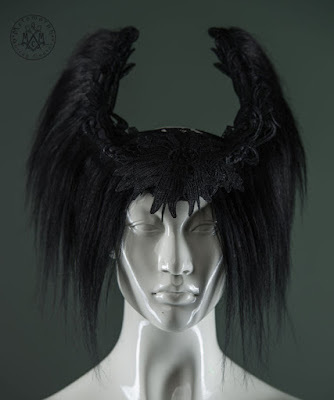 The lace on this headdress forms a devil horn shape. I love how the hair falls from the lace. Speaking of Pan, the white ram horn headdress is also relatable to the notorious god. It's definitely scary, but in a more otherworldly kind of way. There are a variety of ways to use this headpiece to create an unsettling creature. 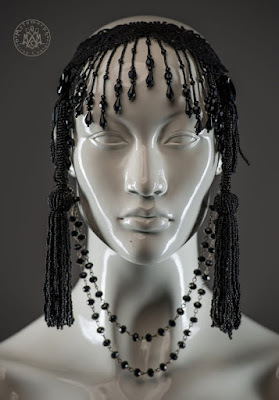 This luxurious beaded fringe black headdress takes us back to the 1920's. This is definitely something flappers would have worn. I would enjoy wearing this headdress with a black beady flapper dress - stunning! 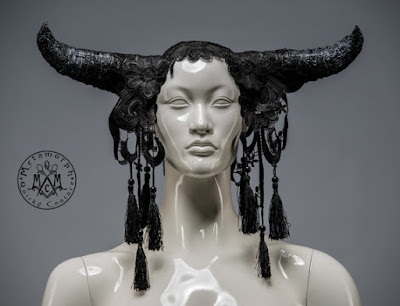 If you're looking for something clearly diabolical, the black horned headdress with lace and tassels kind of freaks me out. I can see Persephone, the Goddess of the Underworld, wearing a headpiece this ornate. An evil succubus would wear something like this as well. It's obvious, something from hell needs to wear this. Don't you think these are amazing? The gothic fantasy headpieces from MetamorphQC on Etsy are perfect for many elaborate events. They're also really beautiful to look at and quite inspirational. I know I have some book ideas after looking at this store! Make sure to comment below and tell me what you think of these headdresses.